Jordan excels in movement and is a real fun loving girl. She loves to play and have a good time. Jordan completed her Championship in the Spring 06. 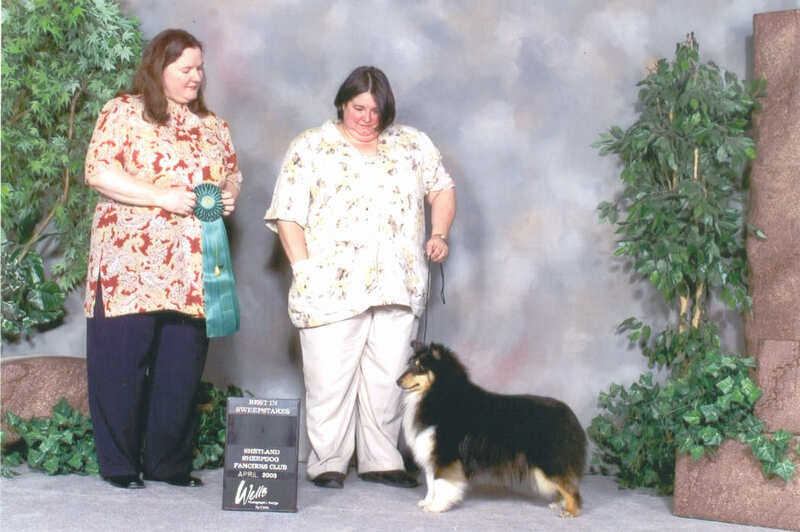 Jordan is pictured winning Best in Sweeps under Breeder - Carol Williams of Liska Shelties from the junior puppy class.